Being arrested and charged with a drug crime charge is a frightening and serious short and long term situation. Federal, Colorado State and Local governmental agencies have launched a “war on drugs” which has now spanned several decades. This war, while misguided, is well funded and is very real. It has resulted in the destruction of untold lives. Drug Crime convictions are often life altering – causing the loss of an individual’s most personal right – freedom from imprisonment, the lost of employment, the loss of child custody, and the loss of real and personal property. Not to mention a closed door to college scholarships, promotions or even the opportunity to apply for most jobs. But the losses to an individual caught up on this fight are more than that. A conviction for drug crimes can include not only a jail or prison sentence, substantial fines and so called drug “surcharges,” lengthy terms of probation, community service, and, of course, mandatory drug treatment programs. Sentencing in Colorado Drug Cases is keenly dependent on the facts and circumstances and the nature and severity of the drug crime. 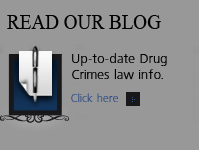 Drug crimes that involve the sale of disposition to minors will often result in even harsher penalties. The possession or use of a weapon during the commission of drug crimes can also significantly increase a sentence by the courts. It is a crime in Colorado to possess, sell, distribute, manufacture, cultivate, transport, import, or traffic in illegal drugs or controlled substances, such as marijuana, cocaine, heroin, methamphetamine, LDS, MDMA (Ecstasy,) steroids, inhalants and unauthorized prescription drugs such as OxyContin, hydrocodone, and others controlled substances. Law Enforcement, in their zeal to investigate and prosecute these cases – often take “short cuts” around the constitutional rights of individuals under suspicion. The improper and illegal use of arrest and search warrants – or their total absence – as well as the improper handling of evidence – “forensic” errors, can sometimes be used to defend individuals charged with Colorado Drug Cases. If an illegal search and seizure led to the discovery of drug evidence, H. Michael may be able to use issue in your defense. Law Enforcement and District Attorneys also will – on occasion – “work” with individuals that may result in a better plea bargain for the person charged with a provable crime. It is illegal to possess, produce, sell, use, or distribute illegal drugs such as marijuana, cocaine, heroin, methamphetamine, and unlawfully obtained prescription medication. It is also illegal to possess materials used in the manufacturing of drugs or paraphernalia used in consuming them. Employment Choices – Moving Up The Ladder, – Some employers will check applicants for a criminal record. A person may not be able to get a job in the armed or police services, in security or public services, or in business or industry if s/he has a conviction. A person who is convicted of an offense while employed could be fired. Professional Licenses – Having a criminal record can prevent a person from getting many sorts of licenses; for example, licenses for driving a taxi, running a liquor store or owning a gun. Travel – Many countries require that people traveling there get a visa. These countries can refuse to give a person a visa who has a criminal record. Social Status – Many individuals and groups of people discriminate against someone with a criminal record. A criminal record can affect your standing in the community, the attitudes of your co-workers and neighbors and your relationships with your family and friends. Depending on the circumstances of your case, the drugs, materials or paraphernalia involved, and the amount of drugs you were in possession of, charges could range in severity from a misdemeanor to a felony. Possession of a small amount of marijuana is generally an offense punishable by only a small fine. Other charges can lead to years in jail and strict probation. If you are a first time offender, there are options available to you through the court system to avoid jail time and a permanent criminal record by diversion into a rehabilitation program. H. Michael can help provide invaluable guidance about the best options available in your case. On the other hand, while typically, the use or possession of an illegal drug qualifies as a misdemeanor with a fine and/or a county jail sentence of up to one year. The sale, distribution or transportation of illegal drugs is most often charged as a felony with heavier fines and/or a state prison term of at least one year. A severe drug crime, such as trafficking large quantities of heroin, could result in a prison sentence of up to 25 years and a $500,000 fine. If you are arrested again in the future, you will be considered a “repeat offender” and you will face more severe penalties. The more serious the charges – the more you need an experienced Colorado Drug Crimes Criminal Defense Lawyer. Ensure that you or your loved one’s future is not clouded by a drug crimes conviction. 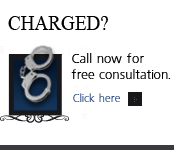 Contact the H. Michael Steinberg – a Denver, Colorado Drug Crimes Defense Lawyer. He is well-trained and knowledgeable in all facets of Colorado criminal law, and his past experience on the other side of the courtroom – as a Career Prosecutor – can be invaluable in your defense. He cares about your future and the protection of your rights and interests and will always put your needs first as he seeks a positive resolution. If you or someone you know is facing drug charges in the Denver Colorado or Front Range area, it is vital that you consult with the our firm immediately, before you make a statement or answer questions from law enforcement officials. After consulting with you, if you retain our firm, we will research the case against you to determine its validity and make every effort to achieve the most optimum case result possible. 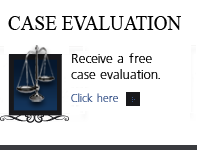 H. Michael handles every case personally and will act as a powerful advocate in your defense. If you have been charged with a drug crime in Colorado, you need to hire an aggressive and experienced Denver Colorado drug crimes defense lawyer as soon as possible. 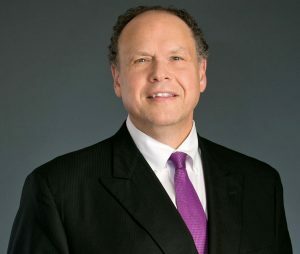 With over 30 years of experience in Colorado Drug Crimes and other criminal law, Attorney H. Michael Steinberg has a solid understanding of Colorado and Federal drug crimes law, and knows the most effective strategies for winning a drug crimes case in court. When you come to the Steinberg Colorado Criminal Defense Law Offices, H. Michael will thoroughly investigate your charges, collect compelling evidence, and aggressively challenge the prosecutors looking to put you behind bars. The information on this Colorado Criminal Defense Attorney website is for general information purposes only. Nothing on this or associated pages, documents, comments, answers, emails, or other communications should be taken as legal advice for any individual case or situation. This information on this website is not intended to create, and receipt or viewing of this information does not constitute, an attorney-client relationship.